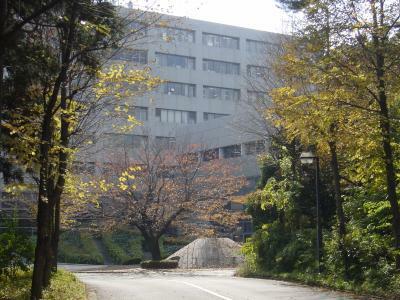 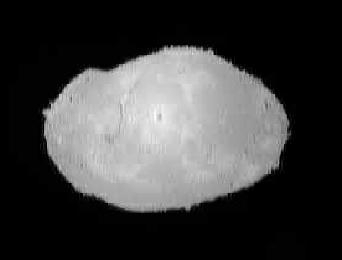 Itokawa's image captured at 1:58 JST. 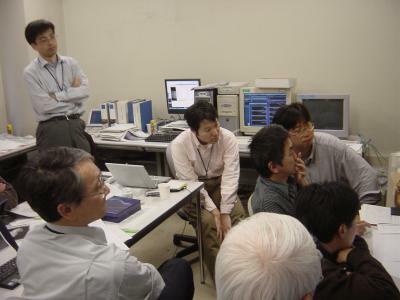 As of 2:00 JST (onboard time), the distance between shape center of Itokawa and Hayabusa is approximately 930 meters, and the altitude of Hayabusa is approximately 900 meters. 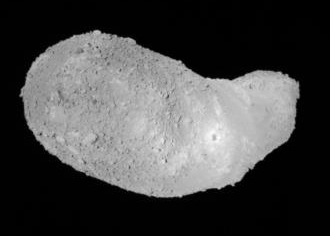 Hayabusa is descending at a rate of 4.5 centimeters per second. 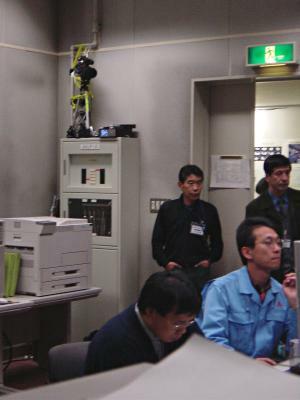 The mock-up of projection device of Hayabusa on board. 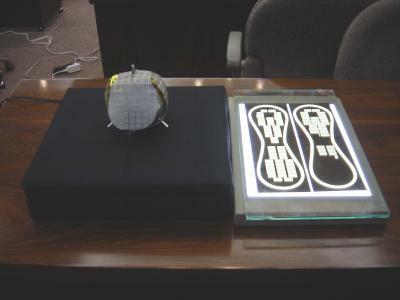 Left is a projection device, and right is an projectile. 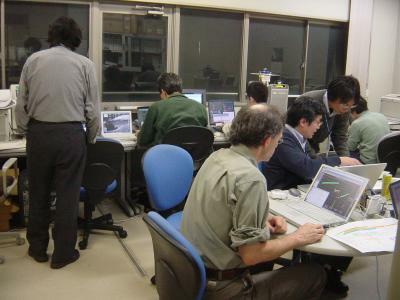 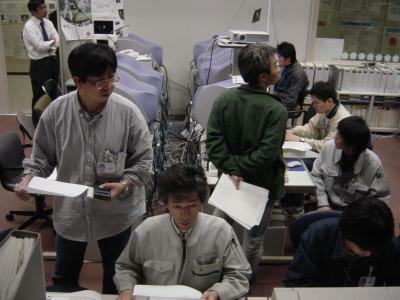 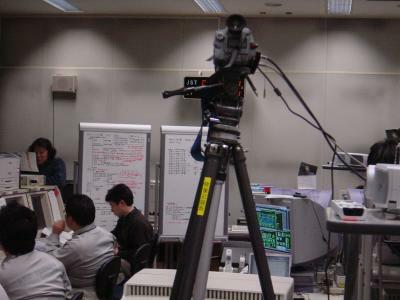 At the operation room #2, engineers are discussing on Hayabusa operation. 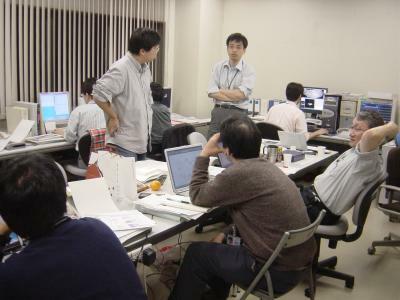 As of 0:00 JST (onboard time of Hayabusa), the distance between shape center of Itokawa and Hayabusa is approximately 1200 meters, and the altitude is approximately 1100 meters. 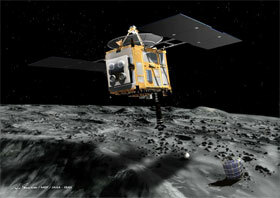 Hayabusa is descending at a rate of 5 centimeters per second. 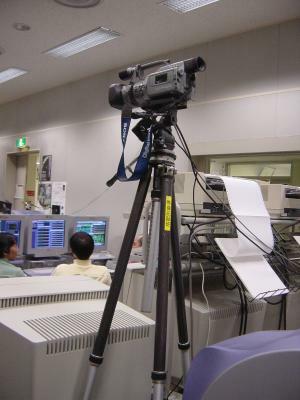 As of 1:00 JST (onboard time), the distance between shape center of Itokawa and Hayabusa is approximately 1080 meters, and altitude is approximately 950 meters. 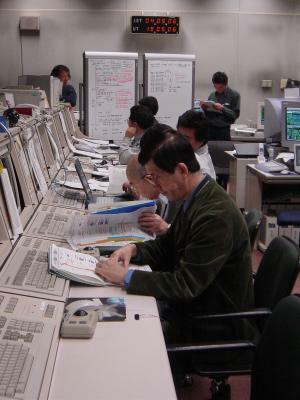 Hayabusa is approaching Itokawa at a rate of three centimeters per second. 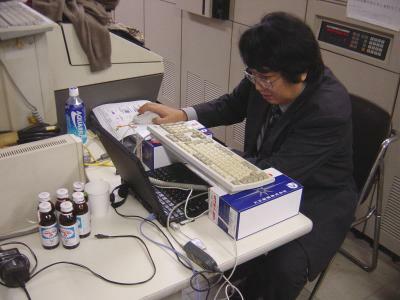 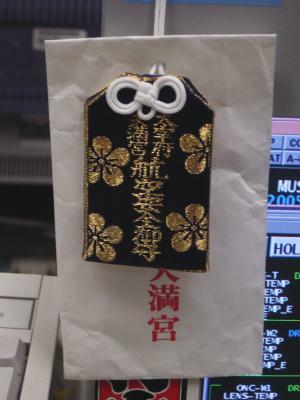 An amulet for flight safety was put on the computer at the command room. 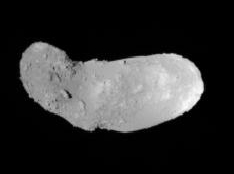 An Itokawa's image captured at 4:58 JST. 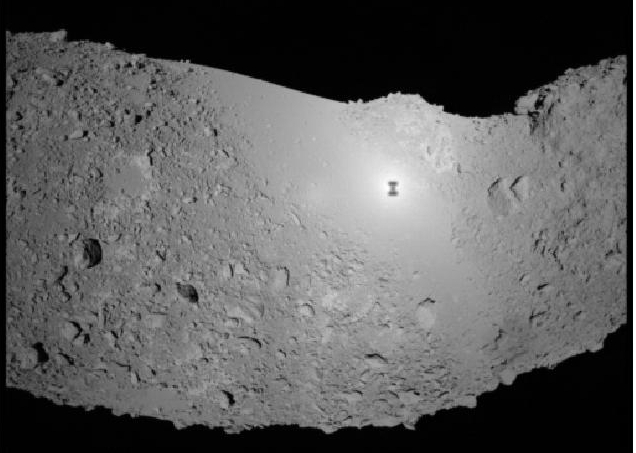 The shadow of the Hayabusa spacecraft is clearly seen. 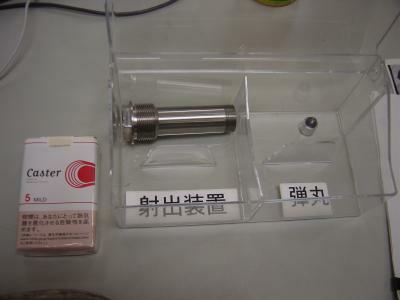 The target marker which will throw into Itokawa and a thin Aluminum plate which records 880 thousands people's name (both model).